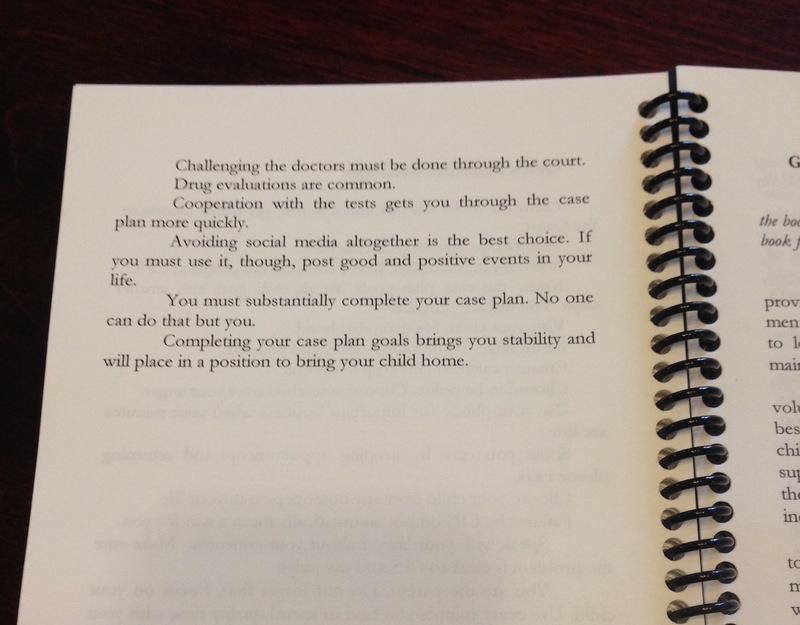 I wanted to provide my clients, parents with cases in Juvenile/Dependency Court cases with advice. 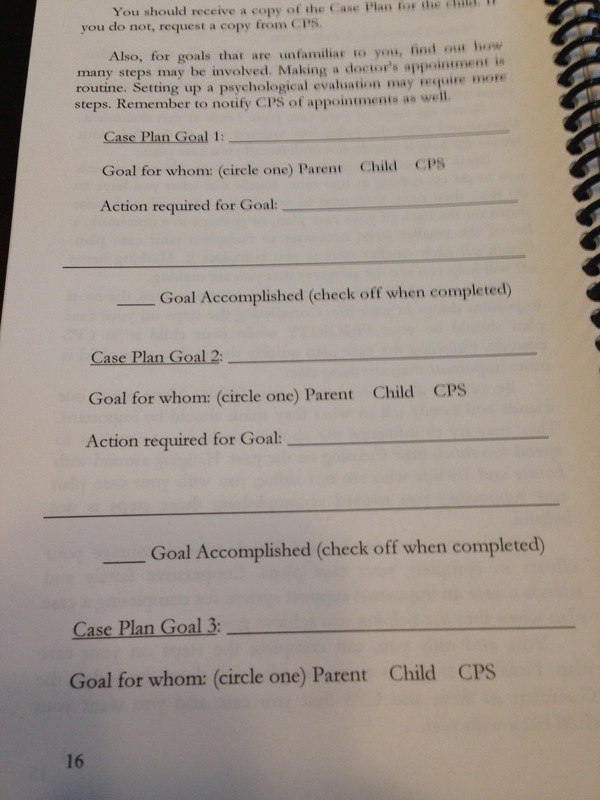 Across the board, these parents failed to understand the basics of how to finish a case plan, at times even how to start. 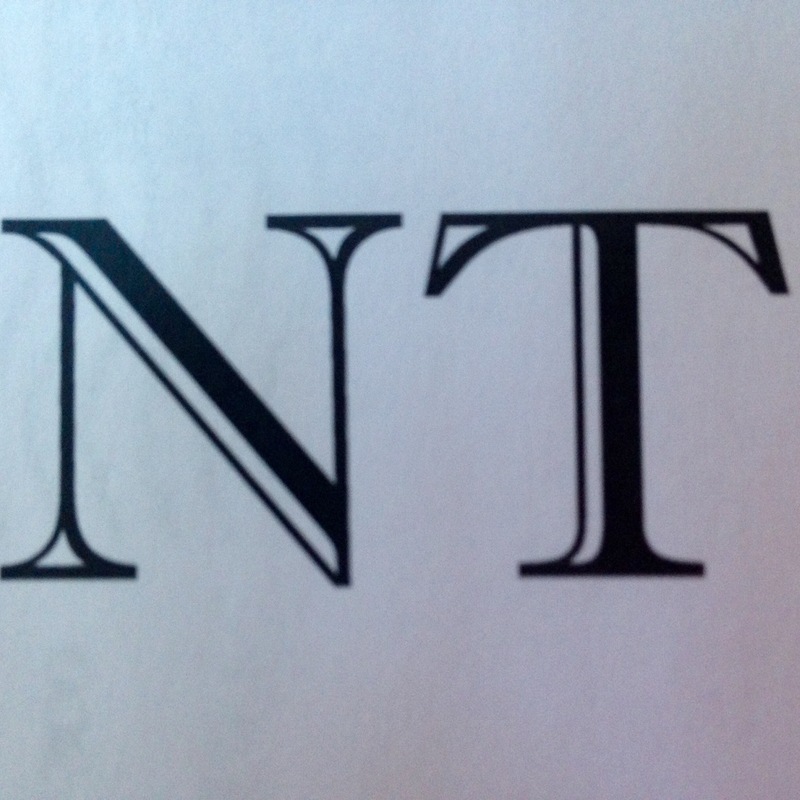 Success started as a two page letter to a young mother who just couldn’t get it together. 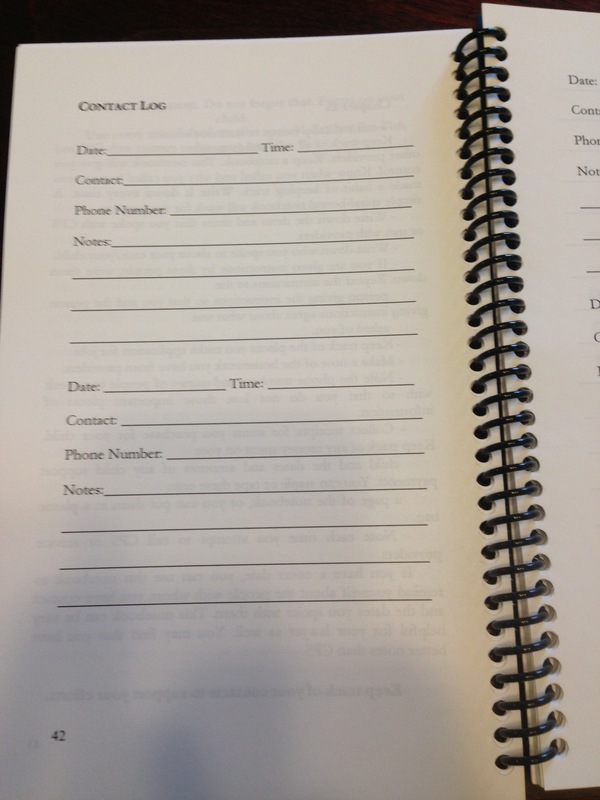 Now, the book is 100+ pages with places to record and track those bits of information parents need to know. Clients, I’ve found, fail to shift their angst toward DFCS after the dependency finding. Creating the strategy that beating DFCS at their own game and learning a new set of rules provides the client with a new focus for their energy. Success is a blueprint to answer the questions and frustrations clients have but are unable to articulate as questions. 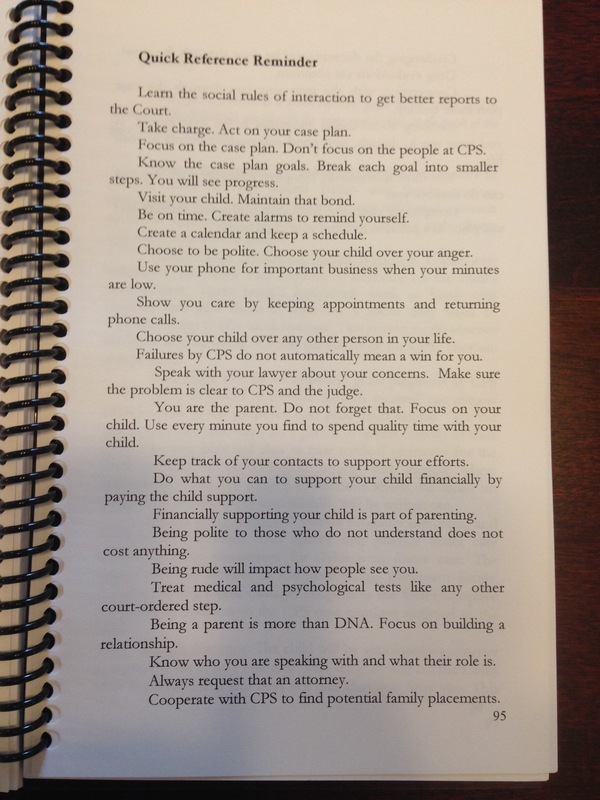 The chapters, summarized below with a quick reminder section, provide that basic life skills advice from the perspective of the Court system. Lessons that are hard to remember to provide to a client but frequently appear as questions, frustrations, or concerns during periodic reviews with the Court. Providing a client a means to track all those calls to DFCS, to service providers. Success contains 20 pages of contact logs for clients to create a habit to keep track and prove that DFCS isn’t responding. 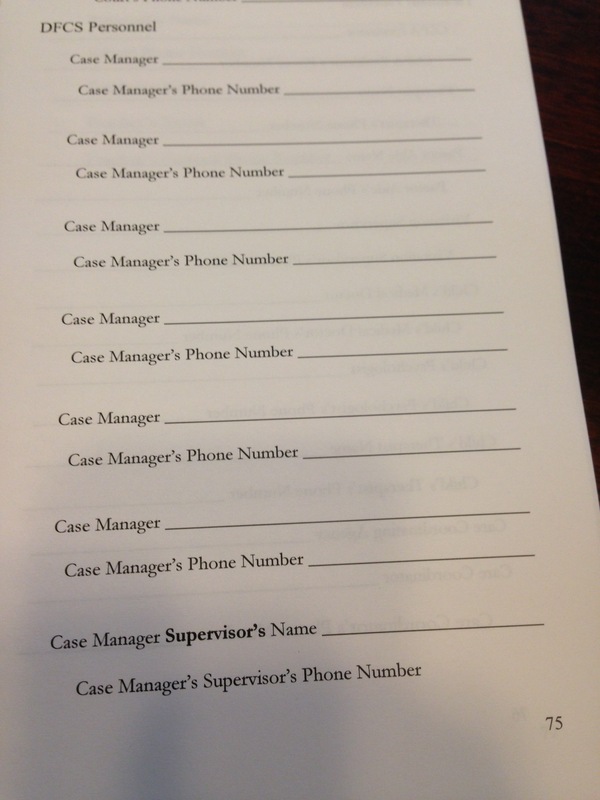 Goals of a case plan, itemized in a chart don’t always make sense to a client. Identifying the goal, writing it down, breaking the goal into the necessary parts, all this will make the case plan accessible and achievable. Keeping track of the who and the how, that can be a challenge. Case managers change over time. Service providers, schools, lawyer. Having on place to store all of this information could mean the difference in accomplishing goals more quickly. 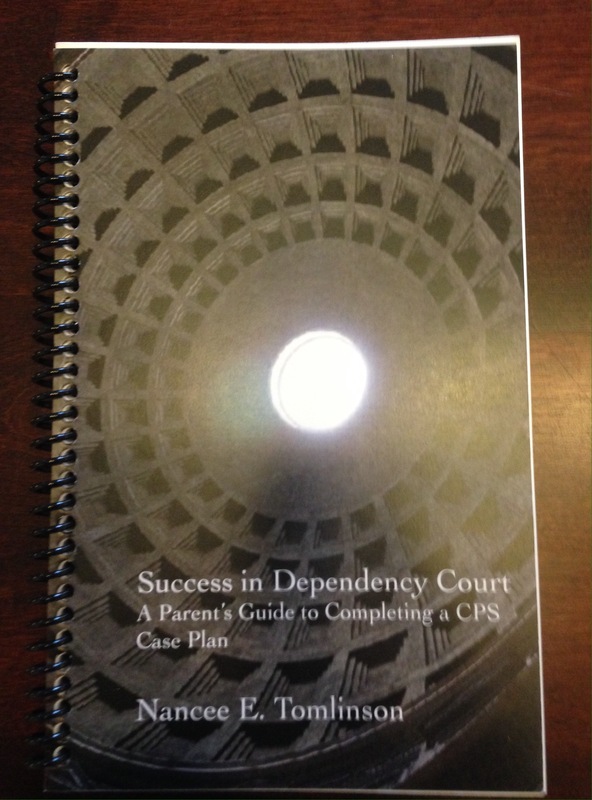 Success in Dependency Court. $25 + shipping. If purchasing 5 or more, $20/book + shipping.